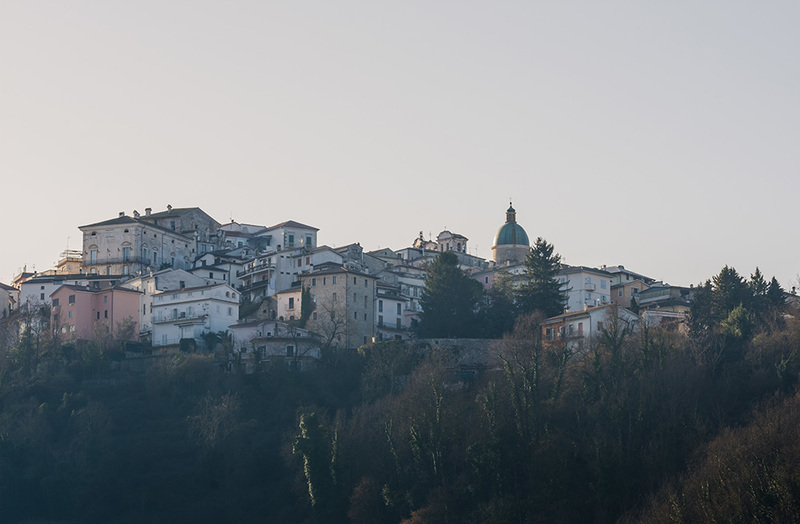 An all-inclusive and immersive 8 day / 7 nights’ fine-dining and local food and wine cultural travel experience for cultural connoisseurs seeking to venture off the beaten track to discover a whole new authentic experience of regional Italy. Our itinerary traverses the Piglio DOCG, Atina DOC and Anagni IGT wine regions within Ciociaria, and will feature wine-tasting explorations of indigenous varieties such as Cesanese, Maturano, Passerina del Frusinate and Cabernet. It also includes two Michelin-star local dining establishments, as well as several fine-dining venues that all specialise in elevating traditional Ciociarian cuisine to exquisite levels using fresh, local ingredients – without losing any of the authenticity of the dishes. 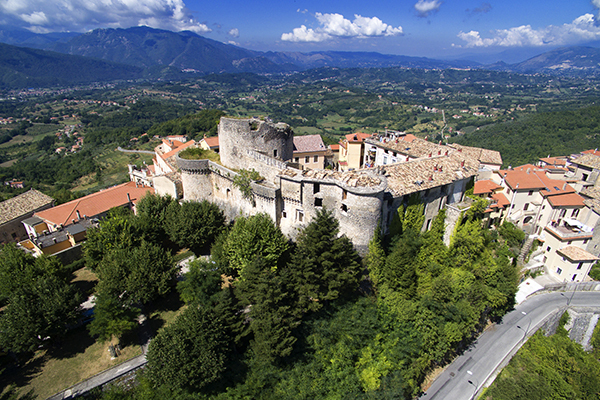 We will be staying for in a very unique ‘Albergo Diffuso’ (diffused hotel) – in private luxury and self-contained apartments in a former Bishop’s Palace within the walls of a 1,000 year old castle in the picturesque mountaintop village of Picinisco. 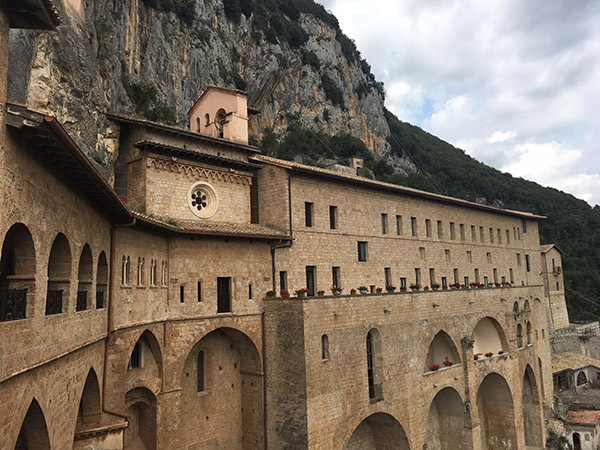 We have hand-picked our favourite food, wine and cultural experiences of Ciociaria and Molise, including: a guided art history tour of the 9th-15th Century frescoes that surround the sacred cave of St Benedict at Subiaco Monastery (Monastero Sacro Speco), followed by lunch in the monk’s refectory; a private guided tour of The Garden of Ninfa (Il Giardino di Ninfa), renowned as one of Europe’s most beautiful gardens; two fine-dining meals at Michelin-star restaurants in Ciociaria plus several additional fine-dining experiences; truffle hunting in a Ciociarian forest followed by a truffle lunch; a long, degustation lunch with a noble family in their 16th Century palazzo – seated in the palace’s formal dining room, we will be treated to recreated medieval recipes sourced from the family’s original ancient cookbook and served with Cabernet wine from the family’s famous Atina DOC vineyard; exploring historic ancient Samnite civilisation sites in Molise with one of Italy’s most renowned authors on the subject; a fine-dining degustation in the remote hills of Molise; and finishing with a flourish with a fine-dining 8 course degustation farewell lunch. Each morning or evening before we set off on our adventures we will be providing you with an introduction to each of the sites we will be visiting. This tour is suitable for people of all ages who are relatively active and healthy – there will be walking in countryside and forests and through cobbled stone villages. 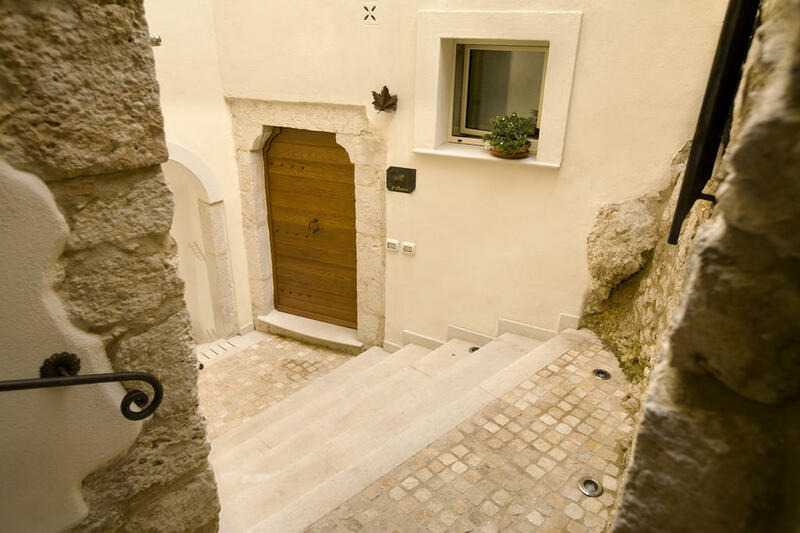 You will be staying in private luxury apartments in an ‘albergo diffuso’ (diffused hotel) in a former Bishop’s palace within the walls of a 1,000 year old medieval castle. There are three 1-bedroom private apartments for couples (1-2 people) and two 2-bedroom private apartments (up to 4 people) available in the main complex. Each apartment has its own fully-equipped kitchenette, lounge area and a bathroom for each bedroom. The apartments all face a central inner courtyard with privacy from the village laneway and there is a shared communal terrace and garden. If you’re in Australia, this all-inclusive package is available in Australian Dollars at AUD$7,497* per person based on double occupancy (couples**). Fabulous Singles welcome for additional AUD$2,000 to secure own apartment. EURO €4,797* per person all-inclusive package based on double occupancy (couples**). Fabulous Singles welcome for additional EURO €1,255 to secure own apartment. Minimum of 6 guests for this tour. Maximum 12 guests. Please note: package cost is subject to change due to exchange rate volatility, however as soon as the first reservation deposit is received the package price is considered secured. We will also honour the advertised package rate for all guests who join the tour once the package rate has been secured. * Package cost does not include flights, travel insurance, medical insurance, relevant visas, or any additional personal expenses. 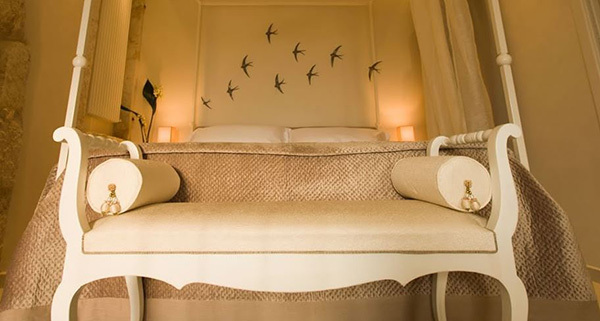 **Please note that as accommodation venue is a unique diffused hotel, all beds have been created bespoke and it is not possible to accommodate two friends sharing single beds in the same room. Trust us, you are going to want your own gorgeous room all to yourself for this experience! There is an AUD$500 reservation fee per person to secure your place. This fee is non-refundable but completely transferable to an alternative tour date. An initial 25% payment is due within 4 weeks of reservation. Final balance payment is due 31 May 2020. Payment Plans available on request. For more information on our bookings and payments procedure for this special package, including details on our Cancellations & Refunds policies please visit our Booking Information page. For international guests, please contact us with your booking enquiry. We will issue you an invoice in Euro with links to our dedicated Euro bank account. Tour commences at 11am on Sunday 20 September (Day One) with pick-up from designated tour hotel in Rome. Guests not staying at the hotel are required to make their own way there. Tour completes at 3pm on Sunday 27 September (Day Eight) with return transfer to Rome to designated tour hotel (arriving Rome at 5pm). Onward transfers to hotels or airport are responsibility of guests. We recommend you plan to arrive in Rome at least one day prior to the tour commencing and arrange onward transfers for one day after the tour. 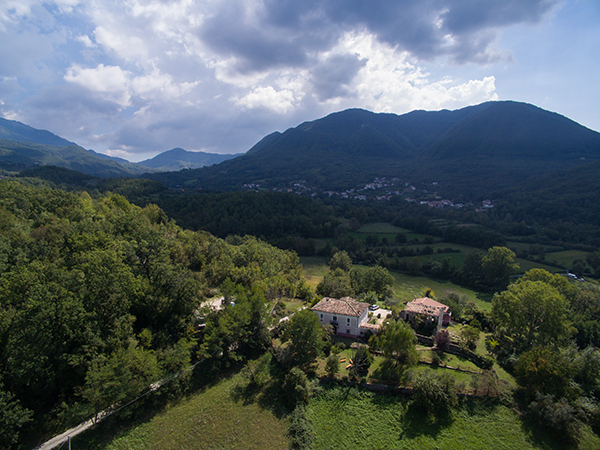 We have an option to extend your stay with us for a week (7 days) in a gorgeous farmhouse in the food and wine region of Le Marche following our September 2020 Ciociarian experience. We can also make recommendations on request for extending your food and wine travels to the Chianti region within Tuscany, including day trips to Florence and Siena – either prior to joining or following our Wild Heart of Italy tour. 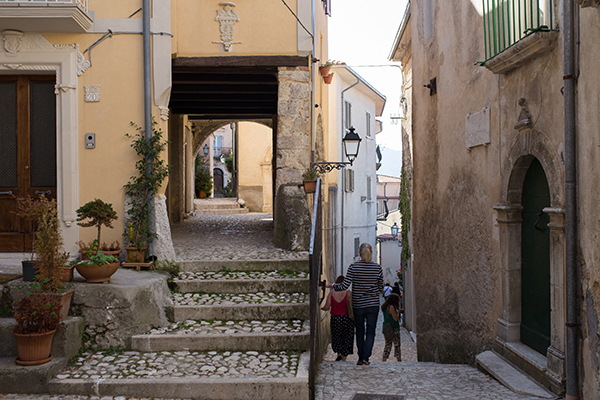 Our small, sustainable group tours to Ciociaria and Molise are aimed at preserving the charm and authenticity of each region for visitors. We hold our tours during low seasons, so by joining us you are also supporting the well-being of the local Ciociarian and Molisean communities we visit. Our immersive food and wine cultural experiences have been designed for fellow travellers with soul. 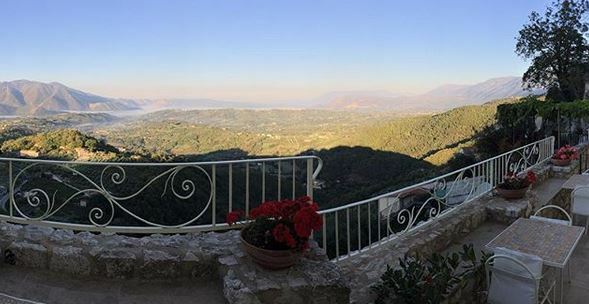 We ask our guests to tread lightly, travel joyfully, act kindly and explore mindfully on our Wild Heart of Italy adventures throughout Ciociaria and Molise. Grazie mille, a thousand times thank you, on behalf of all our friends here. JOIN our mailing list below for updates and priority access to tickets and booking details. We also love the Skyroam Solis for mobile wifi. Buy internet access with day passes, and forget about international roaming! Use the code SILVERCOMPASSTOURS at check-out for a 10% discount. Copyright © 2019 Silver Compass Tours, Australia. All rights reserved. 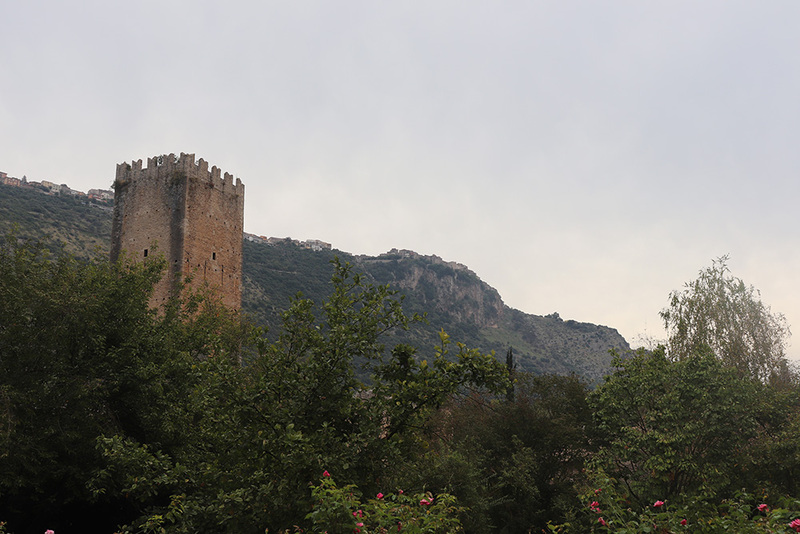 All itinerary concepts and content for the trademarked Wild Heart of Italy experience packages are the intellectual property of Silver Compass Tours, and may not be reproduced or copied in any format without prior written permission. Group pick up from Rome on Day One at 11am from designated Tour Hotel meeting point. Guests not staying at the venue will need to make their own way there. All meals inclusive, including several fine-dining experiences. Table wine included. Additional wine list requests at own expense. Orientation tour of home village. 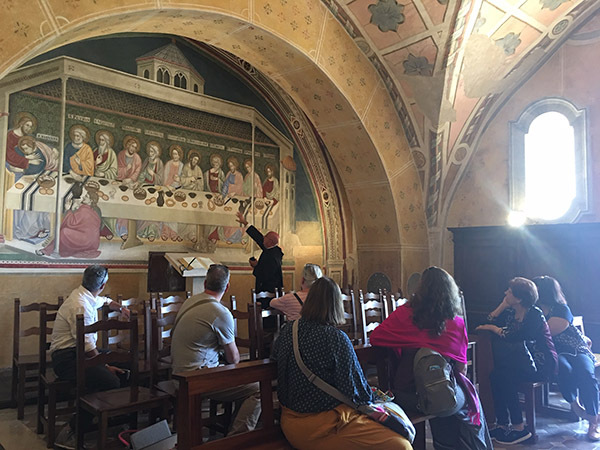 Guided art history tour of 9th-15th Century frescoes in Subiaco Monastery, followed by lunch in the monk’s refectory. Two fine-dining meals at Michelin-star restaurants in Ciociaria. Wine list requests at own expense. Truffle hunt, wine-tasting and truffle hunt. Piglio DOCG & Atina DOC wine trails for Cesanese (red) and Cabernet (white) wine tastings. Visit to organic farm and vineyard to sample Maturano wine (white), indigenous to Ciociaria. 7-course degustation lunch and wine-tasting in a palace, wine included. Private tour of palace apartments. Day trip to Molise for guided tour of ancient Samnite civilisation archeologic site (pre-Roman). 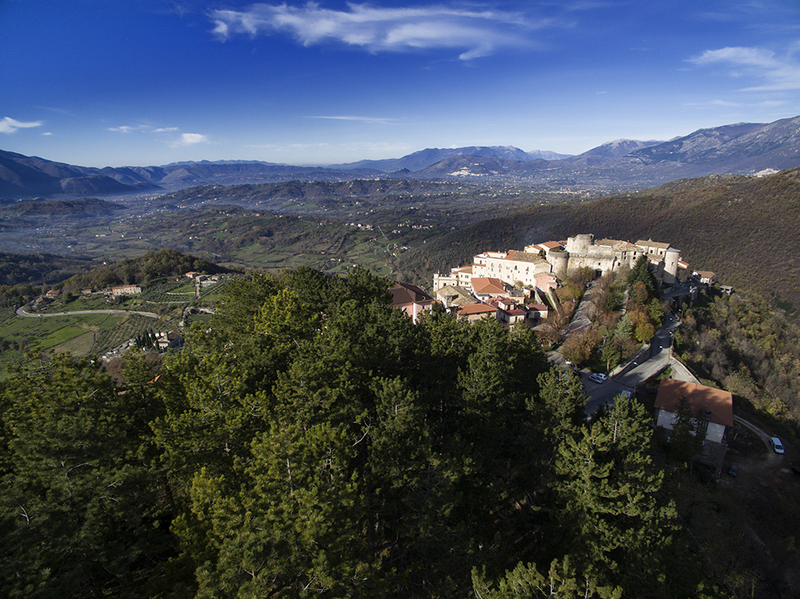 Fine-dining 6-course degustation lunch in the remote hills of Molise, table wine inclusive. Finishing with a flourish with a fine-dining 8 course degustation farewell lunch. Local guides, historic site and museum entry fees. 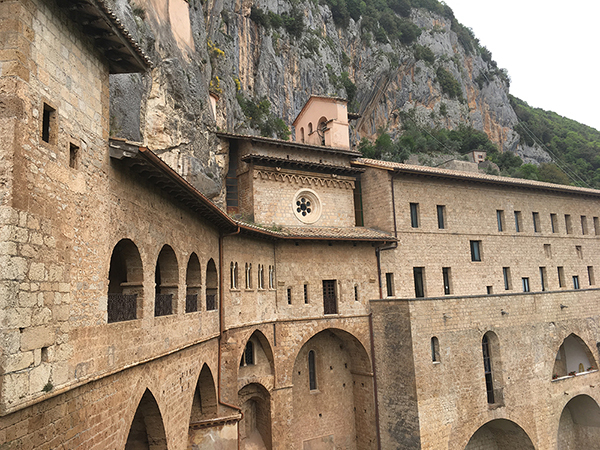 Group donation to Foundation of Subiaco Monastery. 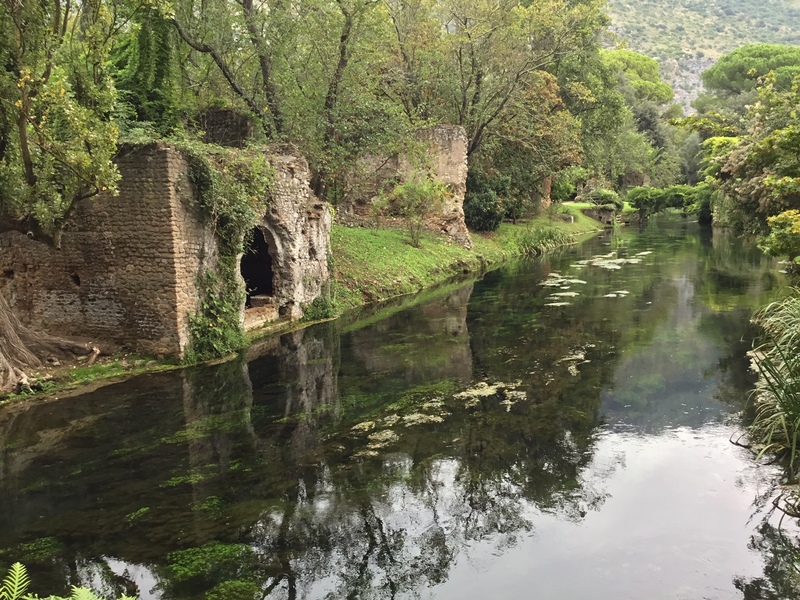 Group donation to Caetani Foundation for the preservation of Il Giardino di Ninfa. Group return transfer to Rome at 3pm on Day Eight, arriving Rome at approx. 5pm to designated Tour Hotel. Onward transfers to hotels or airport are guests' responsibility and at own expense. * Flights, travel insurance, medical insurance, relevant visas, and any additional personal expenses are not included. *All of our itineraries are subject to change and spontaneity. It makes life a little more fun! CONTACT US for more information on our exclusive Wild Heart of Italy itineraries – designed for seekers of the extraordinary.